These are professional quality Mixing paddles! 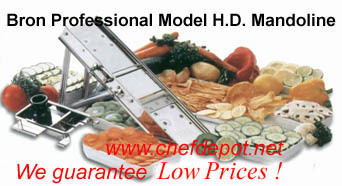 Made from high quality hardwood and foodservice grade stainless steel! These mixing paddles are preferred by Chefs and food manufacturers! 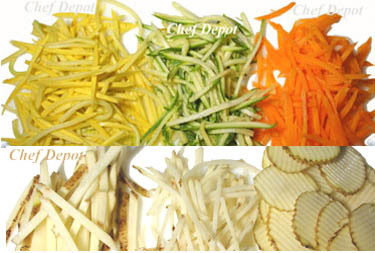 Chef Depot - We have what you need! This is a professional quality 24 inch Heavy Duty 18-8 Stainless Steel Mixing Paddle. Ideal for mixing lage batches of food. Food service grade solid stainless steel, it will not break or bend. These mixing paddles are preferred by more Chefs! Click Here for Vanilla, Dried Parsley and Black Peppercorns! This is a professional quality 30 inch Heavy Duty 18-8 Stainless Steel Mixing Paddle! Ideal for mixing lage batches of food. Food service grade solid stainless steel, it will not break or bend. These mixing paddles are preferred by more Chefs! Click Here for Tongs, Spatulas and Serving Tools! This is a professional quality 36 inch Heavy Duty 18-8 Stainless Steel Mixing Paddle! Ideal for mixing lage batches of food. Food service grade solid stainless steel, it will not break or bend. These mixing paddles are preferred by more Chefs! Click Here for Stainless Steel Stockpots! This is a professional quality 42 inch Heavy Duty 18-8 Stainless Steel Mixing Paddle! Ideal for mixing lage batches of food. Food service grade solid stainless steel, it will not break or bend. These mixing paddles are preferred by more Chefs! Click Here for Diamond Sharpening Steels! This is a professional quality 48 inch Heavy Duty 18-8 Stainless Steel Mixing Paddle! Ideal for mixing large batches of food. Food service grade solid stainless steel, it will not break or bend. These mixing paddles are preferred by more Chefs! Click Here for Bar Blenders! The Best ~ Used by the Ritz Carlton Hotels! This is a professional quality 54 inch Heavy Duty 18-8 Stainless Steel Mixing Paddle! Ideal for mixing lage batches of food. Food service grade solid stainless steel, it will not break or bend. These mixing paddles are preferred by more Chefs! Click Here for Small Mixing Spoons & Paddles! Features a 1 HP high effeciency 750 Watt Variable Speed Motor. A maximum speed of 18,000 RPM makes this immersion blender the choice of professionals. Rubberized comfort grip and second handle for safe and controlled operation. Completely sealed stainless steel shaft is easily removable & dishwasher safe. Choose from several models below! One Year Warranty , NSF approved. It has a variable speed button that goes up to 17,000 rpm. Designed for a variety of easy preparations, including: Meringues, Pancake Batter, Salad Dressings, Soups, Refried Beans, Omletes, Whipped Potatoes, Cake Batters, Marinara Sauce, Fruit Sauces and more! Fully sealed replacement shafts! New motors and shafts are available below. Ideal for 5 - 50 gallons of soup or sauces, click here for recipes! Free Shipping over $99.00! Continental USA only. Chefs Note: These are Chef Tony's favorite for the extra long replaceable shafts, high power & the best warranty (one year - free replacement)! Many of these mixers are large and take 2 hands to operate safely. Click here for Portable Butcher Block Tables! This 1 HP high effeciency 750 Watt Variable Speed Motor will fit the shafts, as pictured! Chefs Note: These are Chef Tony's favorite for the extra long replaceable shafts, high power & the best warranty (one year - free replacement)! Click Here for Chef Knife Sets! These Waring stainless steel shafts fit the immersion belnders pictured above! Fully sealed and dishwasher safe. Chefs Note: These are Chef Tony's favorite, easy to clean & the best warranty (one year - free replacement)! 1 HP heavy duty motor 750 watt variable speed motor, 1,600 RPM on High with whisk. Mash 50 lbs. of cooked potatoes in under a minute! Continuous ON feature. Die cast gears for optimal performance. Rubberized comfort grip and second handle for safe and controlled operation. 10 in. stainless steel whipping paddles. Limited One Year Warranty. This 1 HP high effeciency 750 Watt Variable Speed Motor will also fit the shafts, as pictured! This wooden spoon is the professionals choice for roux, soups and sauces as well as general mixing. This wooden spoon is 16 inches long and made from select hardwood. Sold as a set of 6 pieces. Click Here for smaller wooden Spoons! This is our Exclusive 2 piece Kyocera Revolution Knife Set, it includes a 5.5 in. Kyocera Revolution Ceramic Santoku Knife, and a 4.5 in. Kyocera Revolution Ceramic Utility Knife, with Tomato Red Handle, it holds an edge without sharpening. The Revolution series feature a colorful handle and a perfect balance. This is a great ceramic knife, it's very comfortable and easy to use. Click Here for More Sets & More Colors! 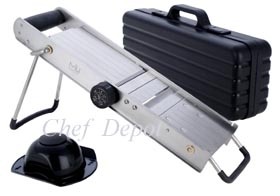 Receive a High Heat Spatula for Free with any $400.00 purchase ($400.00 or more)! Our Large Heat Resistant Rubber Spatulas are the best. Heat resistant to 800 degree's Farenheit! You must Add To Cart for this free offer. Place your order today, limited time offer! The new DynaCutter is perfect for pureeing soups, sauces, fruit coulis, meringues, whipped creams specialty desserts and more! When we first tested this Dynamic mixer, we were amazed at the high quality construction and engineering. It is very powerful, lightweight and easy to use. 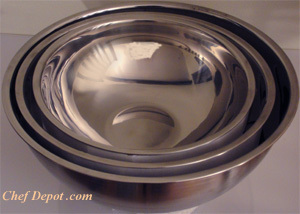 The Stainless Steel bowl (9 in., holds up to 6 qt. ), blade and shaft works with most Dynamic Detachable mixers. Available with or without a power pack motor block below (115 v, 460 watts). Combined weight is 10 lbs. Chefs Note: We have all used Robot Coupes in the past. This unit is not only easier to use and faster, it is dishwasher safe and stronger than the competition. The mixers meet all NSF standards for safety and sanitation. We guarantee the lowest prices! Click Here for knife storage solutions! The new Dyna Master Whip is perfect for meringues, whipped creams specialty desserts and more! When we first tested this Dynamic mixer, we were amazed at the high quality construction and engineering. It is very powerful, lightweight and easy to use. The Stainless Steel Master Whip(aprox. 17 in., 24 in. or 28 in..), works with most Dynamic Detachable mixers. Available with or without a power pack motor block below (115 v, 460 watts). Continuous function or pulse Body, stainless Double insulation body, Stainless-steel tube Stainless-steel perforated grid and it can be easily dismantled for easy cleaning. Chefs Note: We have all used whips in the past. This unit is not only easier to use and faster, it is dishwasher safe and stronger than the competition. Saves Time! The mixers meet all NSF standards for safety and sanitation. We guarantee the lowest prices! Click Here for more Dynamic Immersion Blenders! This is a professional quality 60 inch Heavy Duty 18-8 Stainless Steel Mixing Paddle! Ideal for mixing lage batches of food. Food service grade solid stainless steel, it will not break or bend. These mixing paddles are preferred by more Chefs! Click the page links below and green arrow on the right to view more Mixing Paddles!